Su „123 Photo Viewer“ galerija galėsite matyti savo nuotraukas aiškiai ir patogiai, o pasirinktas- minimaliai paredaguoti su pateiktais filtrais, iškirpti ar apversti norimu kampu. If you have a lot of photographs on your computer and want to view and manage them in a quick, convenient manner or are just tired of Windows’ built-in image viewer, you can turn to specialized applications. One of the programs that can help you in the situation described above is 123 Photo Viewer, as it provides you with various relevant functions. This application can help you manage images from your computer and view them without significant efforts. 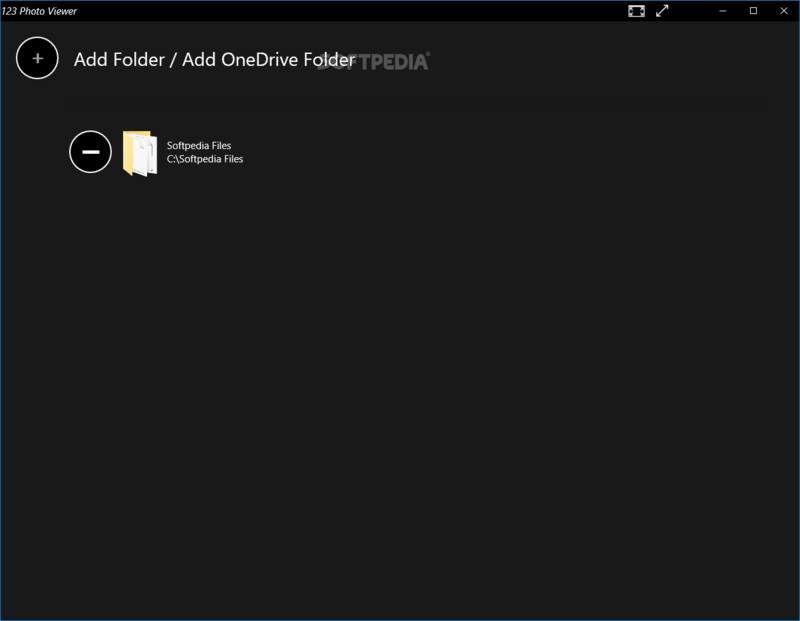 You simply need to import a local or a OneDrive folder to the application so it can display its contents and let you access them. However, if your folder contains a lot of images or subfolders, the application might crash inexplicably when trying to explore its contents. It is possible to add multiple folders by simply clicking the „+“ button and selecting directories until you are satisfied with your selection of locations. Removing folders is also possible by clicking the „-“ button next to the directory you want to delete from the list. After you imported all the folders you want to handle from this app, you can view their contents by simply clicking them, which will display all the contained images and subfolders, while also letting you search for a specific item or change the size of the thumbnails. The side menu enables you to rotate the current image 90 degrees clockwise, start a slideshow, share the picture with others, delete it from your computer, open it with another app, save it under another name, crop, edit and set it as a lock screen or live tile. 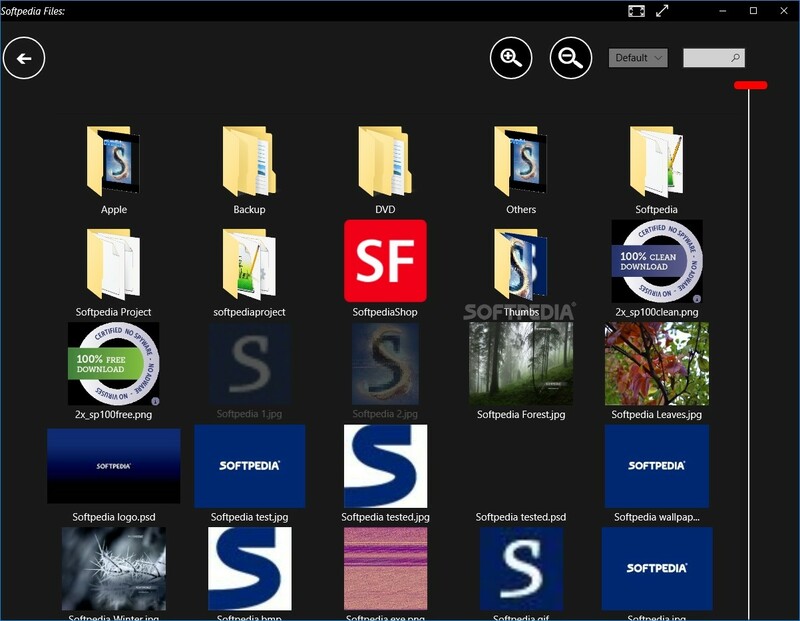 During our testing on Windows 8 and 10, clicking the folder icon made the app unusable, thus requiring a restart. If you want, you can apply a filter to your image by using the „…“ button and selecting the „Filter Effects“ option from the menu. Among available filters you can find Negative Film, Blur, Sharpening, Soft Light, Toy Camera, Black White, Old Picture, Base Relief, Color Change and Recolor. If you want to further adjust the filter, you need to drag its sliders after selecting it. However, the application will zoom in the photo whenever you click the slider and display an original, zoomed version of your file. If you want to observe the effects of the filters you’ve applied, you have to zoom out by clicking the picture again, so there’s no way for you to see the modifications in real time.